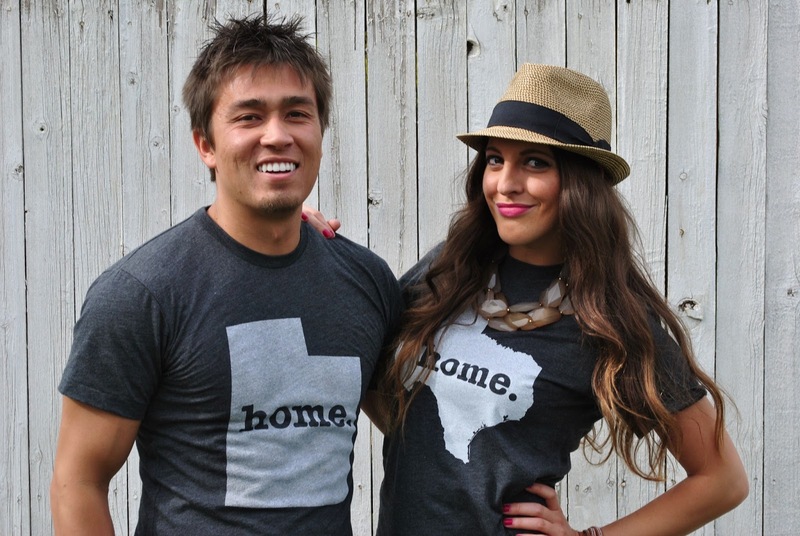 So when I first heard about the Home T, I wanted one so badly and decided I needed it. I thought they were so cute, I loved what they represented and I so wanted a shirt to represent my state pride. 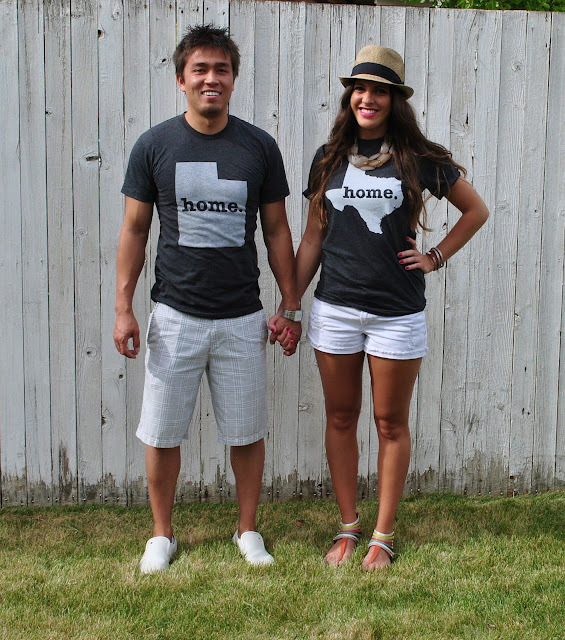 What Texan doesn't love to do that? haha. I also thought it would be cute for Matt to have one, I bought him one also, and he seriously loves it just as much as I do. 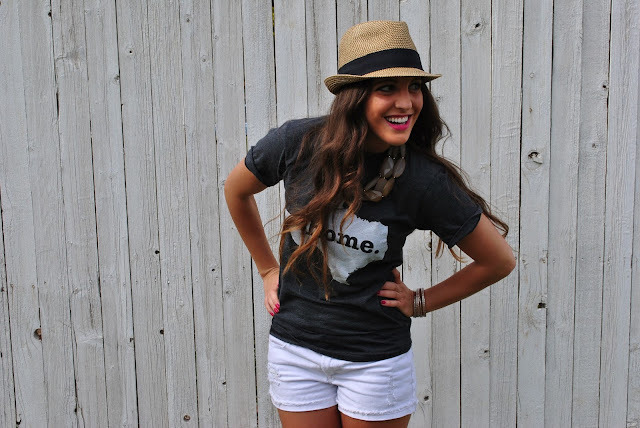 Let me tell you why I love this t-shirt so much! 1. Its SO soft and comfy!! Its seriously my new favorite t-shirt. I've never owned something this comfy and cute. 2. I love that I could style it so many different ways, I already can think of a couple ways I want to wear it in the future. 3. They show my love for my home. 4. And finally what's also so great about these shirts is that a portion of profits are donated to multiple sclerosis research. 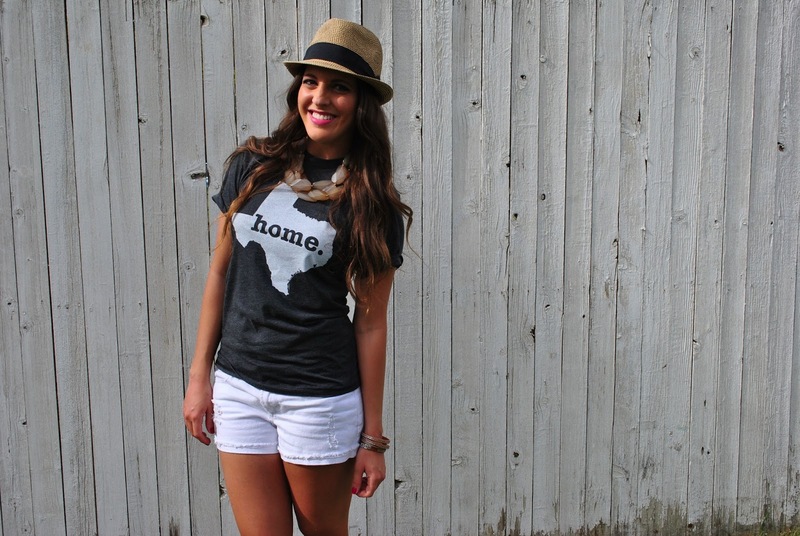 You can get your Home T HERE!! 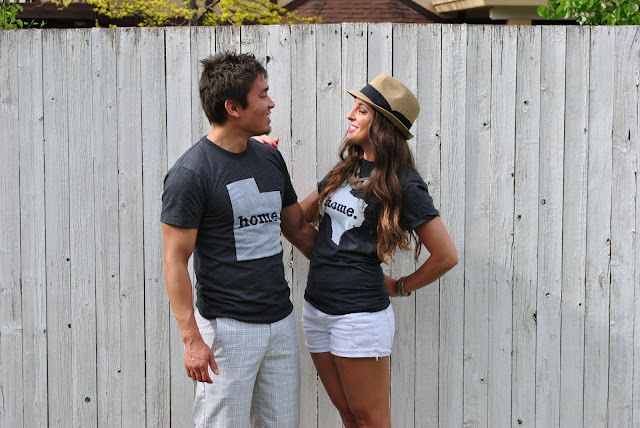 You can find the Australia Home T here, http://www.thehomet.com/australia-home-t-shirt/. Okay Seriously LOVE that tee!!! And your blog is adorable, visiting from Monday Morning Gossip :) New Follower! 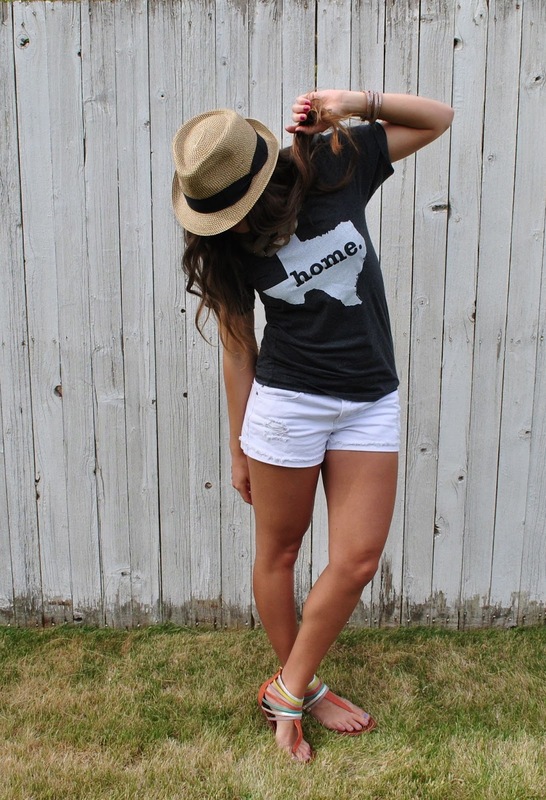 Fellow Texan stopping by from Monday Mingle...LOVE it and of course the fedora is the perfect touch. LOVE the way you styled it...cute and casual! Stopping by from Monday Morning Gossip. 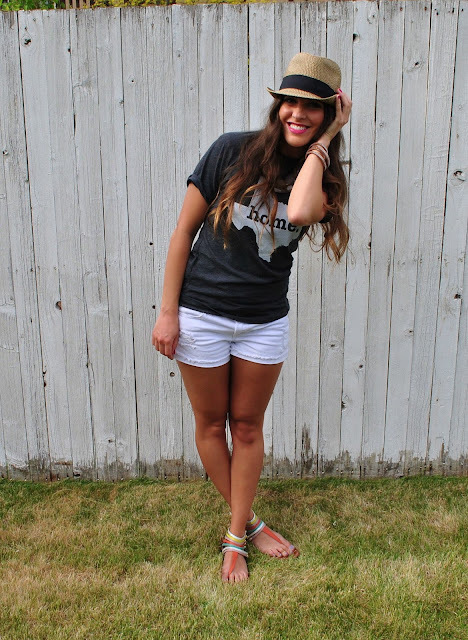 Found your blog through the Bloglovin link up and I'm so glad I did! Love love love this! I'm studying abroad in New Zealand this semester, and I would love to have one of these with the country on it! love y'all in those shirts! so cute! Love these! 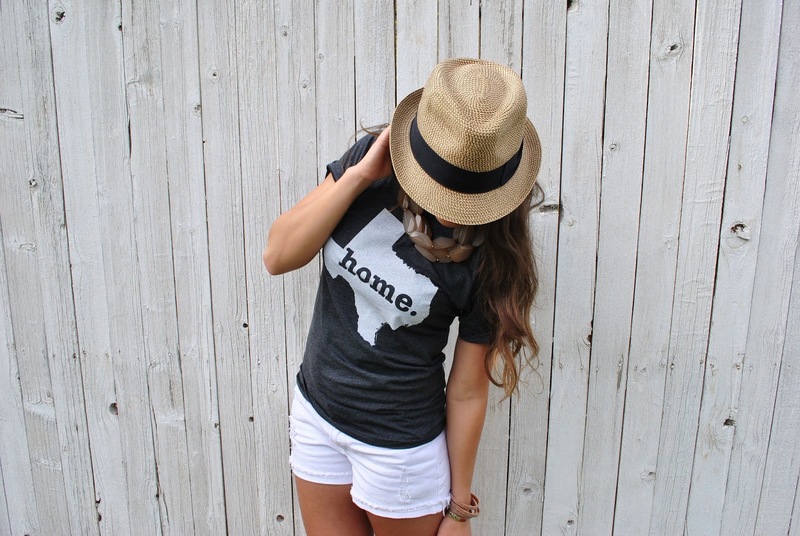 The hat is a really cute touch too. Thank you so much for sharing The Home T with your friends! OMG, AWESOME! 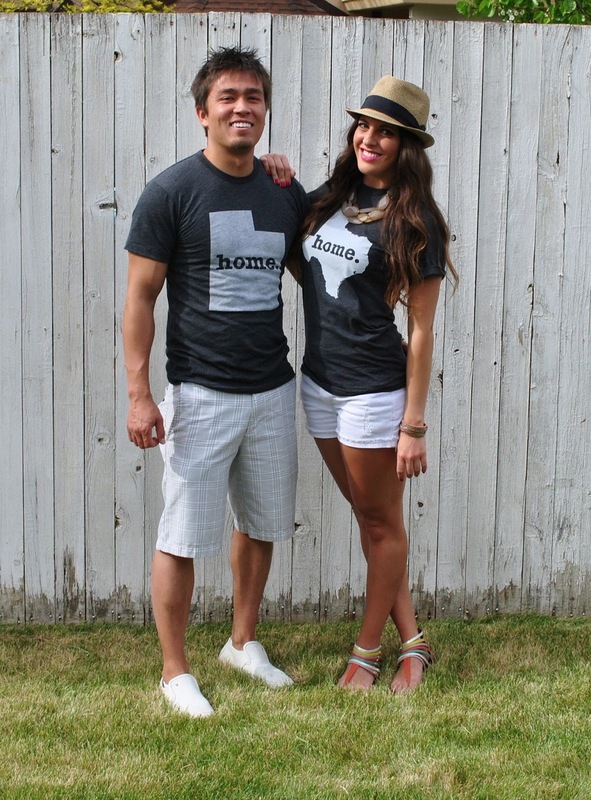 Absolutely love these tees and you guys look great! I want a Florida tee! Love! your hair looks rocking in these photos! 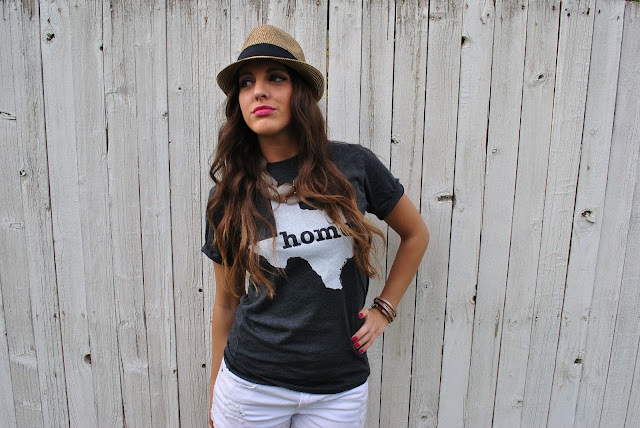 love your texas home t! super cute! So glad you did a post on this! Now I will have to find a way to get one! Oh and you look great here! Love it!